AmaWaterways co-founder Kristin Karst officially named the 158-passenger AmaKristina on a picture-perfect day in the Rhine River town of Lahnstein. The event took place as the company celebrates its 15th-anniversary year. 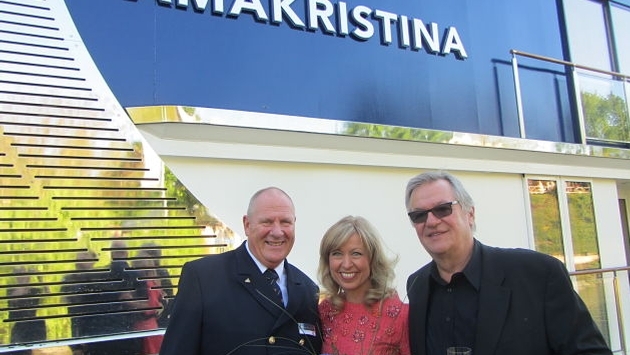 Karst, who is executive vice president of AmaWaterways, started the company with Rudi Schreiner and Jimmy Murphy. Karst was introduced at the ceremony by her now-husband, Schreiner. Karst and Schreiner were joined at the festivities by numerous travel industry executives who served as godmothers of some of their other vessels in recent years, including Michelle Fee of Cruise Planners and Jackie Friedman of Nexion. The AmaKristina is the company’s 20th ship and sails between Amsterdam and Basel on the seven-night “Enchanting Rhine” itinerary. 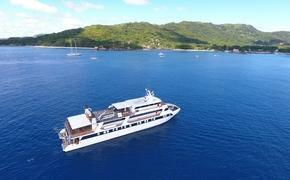 It will operate a wine-themed cruise departing Nov. 11 and Christmas Market cruises starting Nov. 25. The new vessel has the company’s trademark “twin balconies,” in which many staterooms have both a traditional and French balcony. Staterooms measure from 160 to 235 square feet while suites are a roomy 350 square feet. Some rooms connect, making them ideal for families; the company also offers family-friendly cruises operated by Adventures by Disney. The main dining room features regional specialties using locally sourced ingredients, while the specialty restaurant, Chef’s Table, accommodates 28 people for a tasting menu. AmaWaterways ships serve complimentary unlimited fine wine, beer, soft drinks and specialty coffees with every lunch and dinner, plus sparkling wine at breakfast. For more information, call 800-626-0126 or visit AmaWaterways.com.